Home > Secteur-English > Who we are ? The Federation of Black Jews (FJN) is a human rights association and member of the CRIF. Our association, FJN, is very proud to be part of the work representing and promoting African Jewish culture. 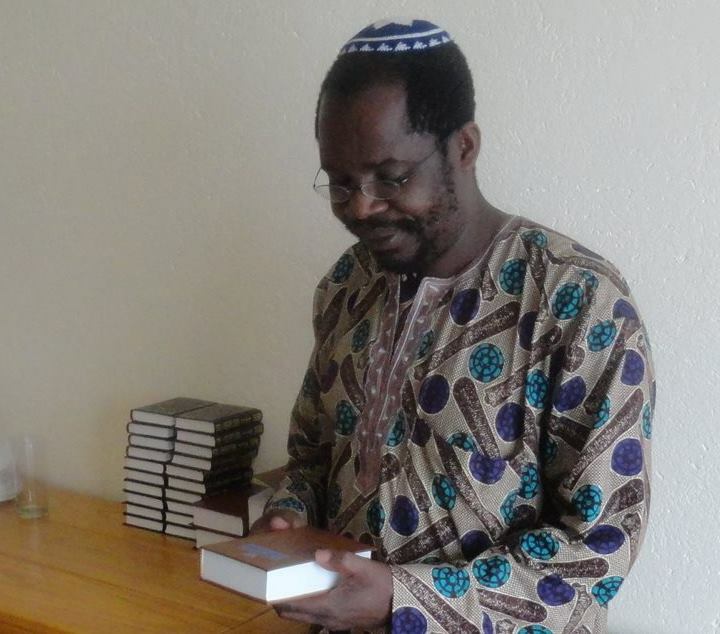 We represent a network of African Jewish communities accross the world, and we are focusing on integrating an inter-faith and multi-cultural conversation on the level of all African countries (You can read about it on the FJN website under « the 10 commandments of Eldership, by Pr Ephraim Isaac). Our wish is that a community could see their cultural and religious rights respected, and could be part of the success of their own country at all levels. The same is true from our point of view, for all African Jewish communities, each one within their contexts. We would be happy to start a relationship of friendship with you and all , and see together how we can help and encourage each other. If you want , we could speak about publishing extracts of your very informative study on our community on our website. Because French Judaism has a rich history, FJN serve as the basis for the first concerns that we address. The FJN will to shed light on why the Black Jews of France face obstacles of acceptance in the wider Jewish community which, in general, the Jews of France do not face. Addressing such matters will serve as the theoretical and national backdrop for the concerns of the Community. a) The Black Jews of France must contend with an invisibility as the socio-religious level—an invisibility which also extends to the academic world. Once consequence of this is that little, if any, attention is paid to the problems that Black Jews in France routinely encounter. b)The absence of Blacks from the field of academic study is the result of the ideology which goes by the name of universalism which claims to be blind to the skin color of citizens. The demand of universalism to ignore origin and race is not without grave consequences. Oddly enough, this very conception of universalism makes it difficult to be effective in the political struggle against racism and discrimination. and the group Kemi Seba. They are very open in both their words and deeds against Jews. d). An environment for peaceful and constructive dialogue between the Jewish community and the Black community of France Although the Jewish community and the Black community, constituted minority groups with rather different social configurations, the former being social and the latter being religious, these two communities can and must provide one another with the means which will enable them to explore together questions that arise from their common interests as minorities in the French society. It matters not whether these interests in common arise from social considerations or political life. that will undermine these scourges upon society. The struggle against antisemitism provides yet another front that must be addressed. One of the major contributions of FJN shall be to facilitate the possibility of a rich and more complete articulation of the struggles that exist. In this regard, the contributions of FJN must extend beyond the declaration of ideals and principles. FJN must also seek to put in place the methods and strategies that will bring about a more equal society. It is absolutely necessary to have a place for the diffusion of ideas and texts as well as the organization and gathering of information. FJN also aspires to play a role in cultural and intellectual exchanges. To that end, FJN seeks to put at the disposition of its members an environment devoted to these sorts of exchanges. Precisely because the members of FJN must not limit themselves to their immediate problems and must, therefore, concern themselves with the general questions of society, FJN must ensure that has the tolls that will permit it to play an important role in the great debates of society. It is a matter of wrestling with society-at-large while using public forums and various gatherings to ensure that those who need to be heard are indeed heard. FJN will draw upon the Jewish tradition and the twin-experience of its members who are Jewish and Blacks in order to address the diverse intellectual and cultural questions of the day. The challenges of FJN are at once both numerous and enormous. Just so, they can be realized. It suffices that we are prepared to secure its realization. FJN envisions represents a hope upon which one cannot put a price. It is not enough to have clarity with respect to our goals and objectives. We must also have the requisite tools that make it possible to accomplish our goals and objectives.